Virgin Australia has secured the necessary traffic rights to mount flights to Beijing and Hong Kong from June 1 2017. The International Air Services Commission (IASC) has approved the Australian carrier’s request for 1,925 seats a week of capacity to China and seven flights a week to Hong Kong. The determination, published on June 17, is valid for five years. The daily flights to Beijing and Hong Kong would be operated with Airbus A330-200s as part of an alliance with China-based HNA Aviation, Virgin has said previously. However, the airline is yet to confirm which Australian city the two new services would be flown from. “This strategic alliance will have us jointly operating to China from Australia,” Virgin chief executive John Borghetti said on May 31. “We certainly will be flying there. Whether it is all Virgin Australia aircraft or not, let’s see how that works out. It will be a joint operation and that’s what’s important. Both of us will be promoting traffic between the two countries. The IASC determination said the Australia-China route had grown by an average of 12 per cent a year over the past five years, adding the route was “highly competitive”. The Commission noted China Southern had the highest share of passenger traffic at 23.4 per cent, followed by Cathay Pacific (15.3 per cent), China Eastern (13.7 per cent), Qantas (12 per cent) and Air China (9.1 per cent), according to figures from the Bureau of Infrastructure, Transport and Regional Economics (BITRE). 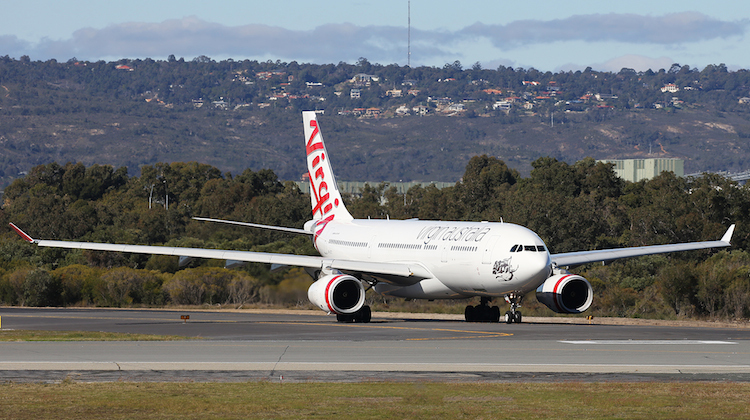 “The Commission considers that Virgin Australia’s proposed operation of services between Australia and Beijing would provide more options to Australian travellers and promote further competition on the Australia-China route,” the IASC said. Meanwhile, in its Hong Kong decision, the IASC noted BITRE figures which showed the Hong Kong route has grown by about four per cent per annum over the past five years. Cathay had the largest share of the route at 45.3 per cent, while Qantas held 36.2 per cent. Currently, Virgin places its VA airline code on Singapore Airlines’ (SIA) services from Australia to Hong Kong via Singapore. The pair has an extensive alliance and frequent flyer agreement. SIA is also one of Virgin’s major shareholders. In addition to traffic rights, Virgin will also need to obtain the necessary takeoff and landing slots at busy Beijing and Hong Kong airports. Slot would be easy to get if the alliance partner from the HNA groups (Hong Kong Airlines and Hainan Airlines). I foresee that an obligatory 1 flight would be operated by them- but not to both destinations. It would be much more beneficial for them to arrange an on the spot wet lease to keep planes utilised- pool the fleet of A330s for joint use. This would be out of the box thinking that might need a bit of work with CASA, but ensures the planes are flying all the time. How about flying direct from Beijing to Broome and/or Darwin for a few days before connecting to Virgin Australia’s domestic network and visiting other parts of Australia. Agree, one of the flights out of BNE would be good. Townsville is crying out for international services. Maybe Virgin could do a Melbourne service via Townsville like CX do with its service Via Cairns, out of SYD. GBRGB, CX service to Cairns is from Brisbane, not Sydney. Indeed it is, in lala land today. Guess in Australia we are used to thinking SYD automatically. It will be interesting to see what VA do with their A330’s…. I would think they will need 2 A332’s on these routes unless it is nothing more than a token gesture from VA. If they were to take them out of the East-West flights, the 737’s will be worked much harder and a lower product… AJ would be loving the fact that QF would be more appealing to do a 5+ hour flight on a widebody from BNE for the general punter….. Unless they lease some A332’s from these Chinese partners and repaint…. who knows…. 2. Brisbane is Australia’s best city. 3. Brisbane Airport doesnt have these stupid curphews like Sydney has meaning if the flight get delayed from China or Hong Kong which is likely with how busy the airport is, the flight wont have to be cancelled. Oh yeah I hope they add more A330s to the fleet if they are gonna use these for Asia. I hope they dont take them out of the Coast to Coast flights because as Steve said, its gonna make Qantas more appealing with their widebody aircraft if Virgin work their 737s harder. They have already reduced the A330s on the Brisbane to Perth route to 1 per day and the rest are done by 737s. People I know say they prefer to fly Qantas for that reason as most Qantas flights are A330s with minimal 737s on the routes from Perth to Australias best city. I really hope they fly to Brisbane because Brisbane Aiport kinda lacks on flights to china!